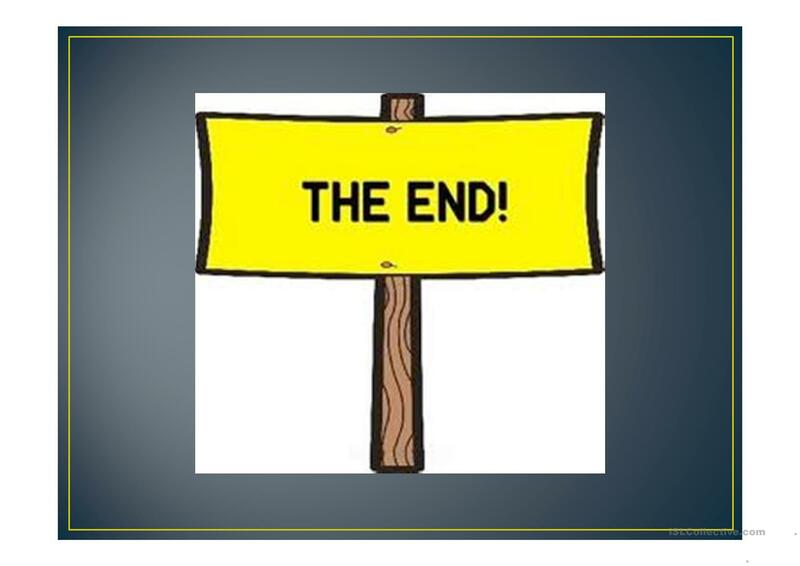 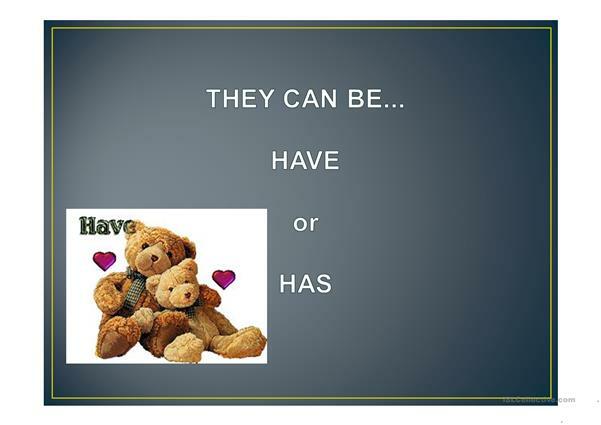 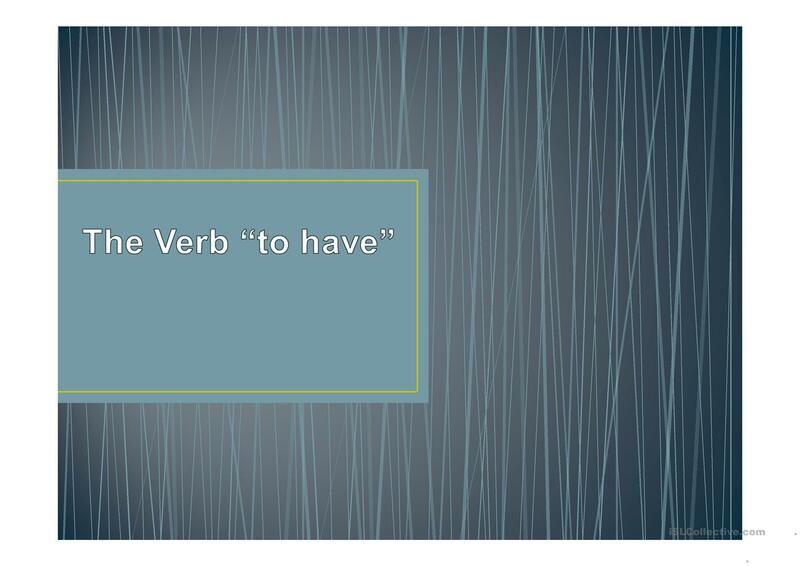 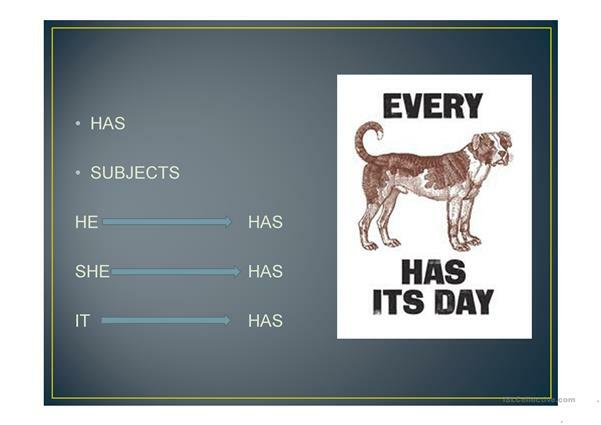 PPT presentation explaining when to use "have" or "has" with exercises. 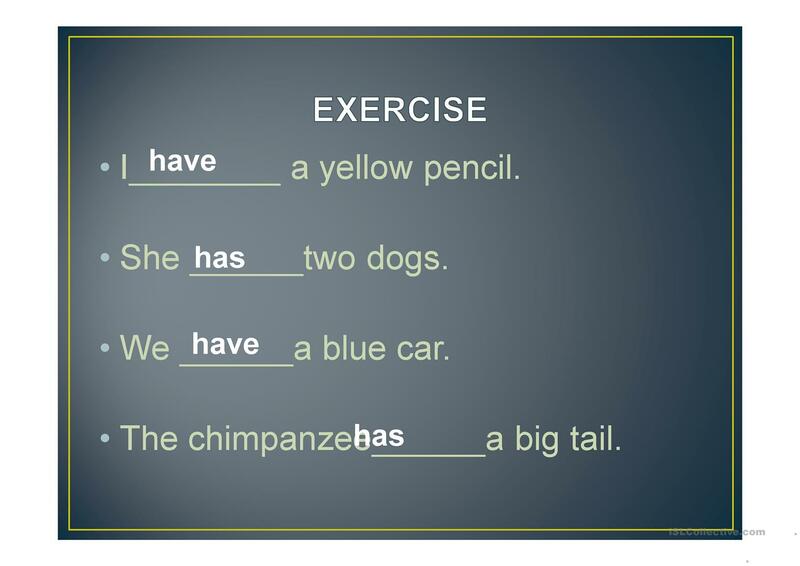 This downloadable printable is recommended for elementary school students at Beginner (pre-A1) level. 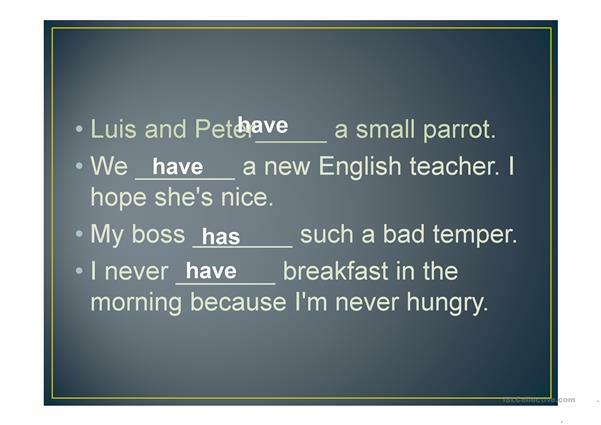 It is great for consolidating in English, and is excellent for honing your learners' Speaking skills. 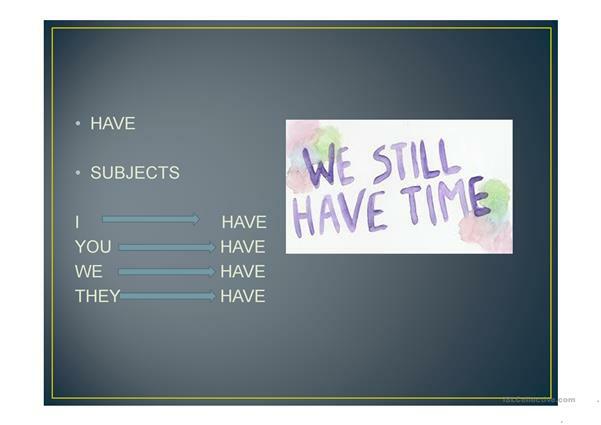 laripita is from/lives in Brazil and has been a member of iSLCollective since 2011-08-30 21:53:27. laripita last logged in on 2019-04-23 23:36:41, and has shared 16 resources on iSLCollective so far.